This award is presented to schools which received all “As” on the value-added data of the state report card, in recognition of exceeding expectation in student growth on the Ohio School Report Cards for the 2016-2017 school year. 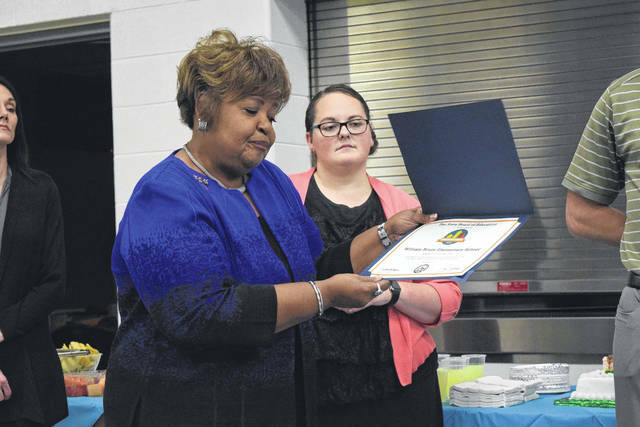 On Tuesday, Feb. 27, Charlotte McGuire, District Three Ohio State School Board Representative, presented William Bruce Elementary with the Momentum Award. 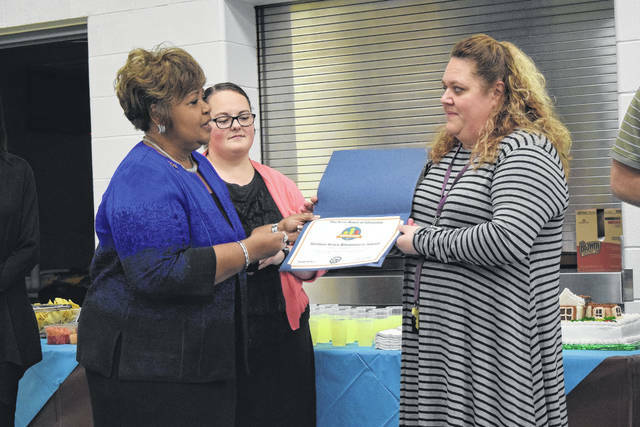 EATON — On Tuesday, Feb. 27, Charlotte McGuire, District Three Ohio State School Board Representative, presented William Bruce Elementary with the Momentum Award. Bruce Elementary was the only Preble County school to receive this award. 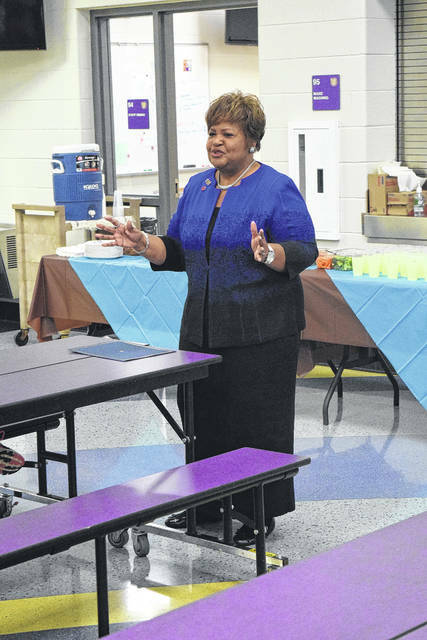 According to Superintendent Barbara Curry, the elementary school was also rated in the top 20 schools for their Report Card scores. Kip Powell, William Bruce Elementary Principal, said this award was made possible by the outstanding staff Bruce employs. “It is nice to know we get this award. It is great to recognize our teachers. It is also great because all of our building — our classified staff, specials teachers, custodians, secretaries — are all a part of this. 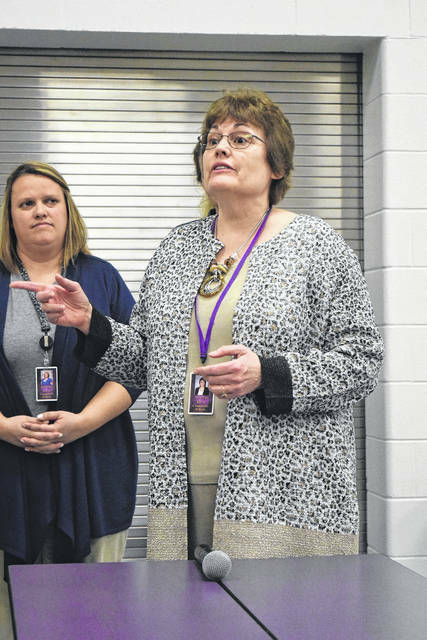 They make our kids comfortable in our school and if kids feel safe then they excel,” Powell said. “The value added, in a nutshell, it places a measurement to determine where the kid is at one point in time and after a year’s worth of work they should be at this point — they have statistics and data that shows that. Our kids have basically showed more than a year’s worth of work,” he continued. “I think success starts with collaboration with teachers, communicating, and focusing on grade levels and building goals. I think our environment has a lot to do with it. I like to think we’re a safe school where kids can feel free to express themselves without being ridiculed. McGuire presented the award to Principal Powell, Eaton School Board President Lisa Noble, Superintendent Curry, representatives of the PTO, and the Building Leadership Team. She said, “I believe that [teachers] know kids best. Every child is unique, ever school building is unique, and every district is unique. Every child deserves an opportunity to meet their individual aspirations and needs. We are a State that we are gearing up to be college and career ready, but my question back to our leaders was are they life ready? 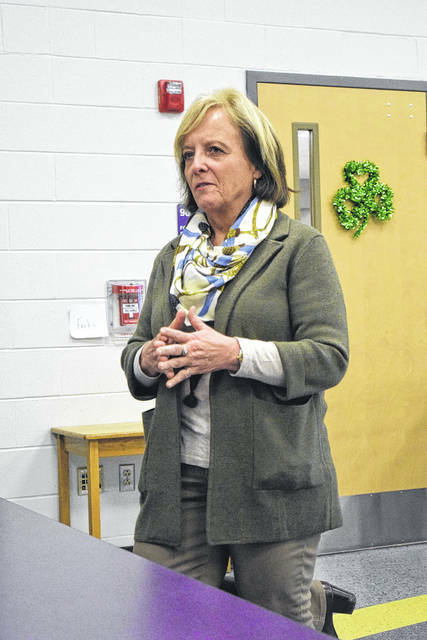 She then called up representatives from the PTO, Building Leadership Team, Superintendent Curry, Principal Powell, and President Noble, saying that it takes collaboration from all to make a school a true success. “This is quite an honor. Every few school districts receive this honor. I think we were in the top 20 for the State of Ohio. It is such a tribute to the work that you do. I will say, and I think I can speak on behalf of Lisa [Noble] as well, it really is an honor to have you employed in our school district. It is an honor to have you teaching the youth of our community,” Curry added. “We are very proud of all of you here at Bruce, coming together and working together for the sake of our community. Thank you all and continue the good work,” Noble said. 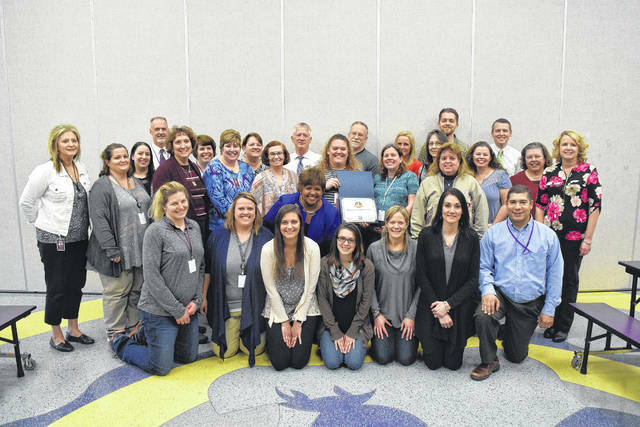 https://www.registerherald.com/wp-content/uploads/sites/41/2018/03/web1_Bruce5.jpgThis award is presented to schools which received all “As” on the value-added data of the state report card, in recognition of exceeding expectation in student growth on the Ohio School Report Cards for the 2016-2017 school year. 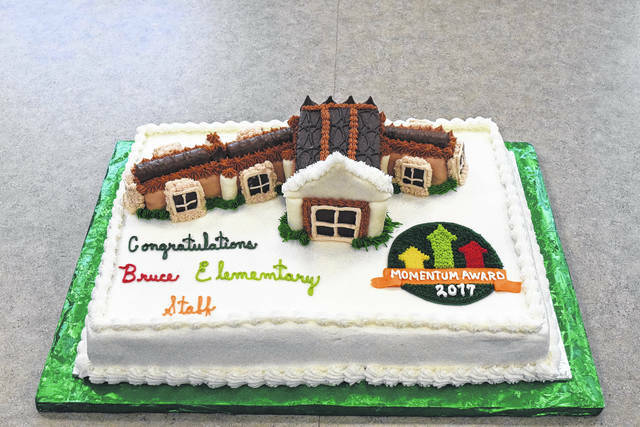 https://www.registerherald.com/wp-content/uploads/sites/41/2018/03/web1_Bruce8.jpgOn Tuesday, Feb. 27, Charlotte McGuire, District Three Ohio State School Board Representative, presented William Bruce Elementary with the Momentum Award.